Go to any all-inclusive resort in the Caribbean and you will inevitably hear a Canadian asking for a "rye and coke" and receiving a look of confusion from a bartender. Rye is Canadian slang for whisky, which is somewhat funny when you consider the rest of the world refers to our version of the liquor as simply, Canadian whisky. 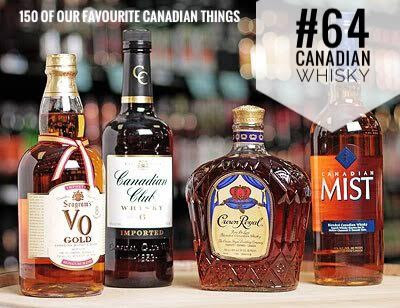 Canadian whisky does need to contain rye, but it is generally smoother and milder than other whiskys, which makes sense, as Canadians are generally pretty smooth and mild. But that doesn't mean Canadian whisky doesn't get a little crazy sometimes. Crown Royal's Northern Harvest, a bold whisky made with 90% rye grain, took World Whisky of the Year in Jim Murray Annual Whisky Bible 2016. On the rocks, neat or mixed, Canadian whisky is well-loved, both at home and around the world.